LAST CHANCE For Local baseball in 2018. 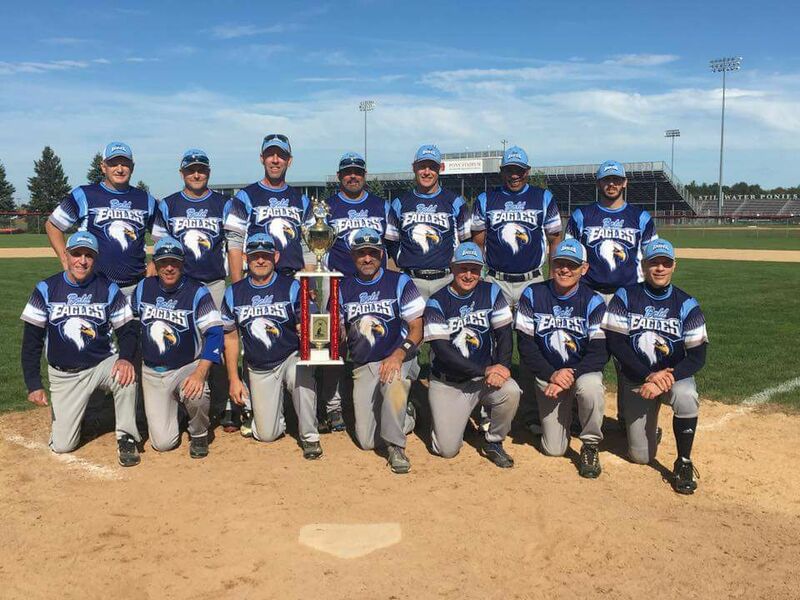 Bald Eagles host over 50 State Games. The Bald Eagles are hosting M50BL over 50 Tournament games in the Class 6A 4 team bracket Saturday October 6th with a 1130AM start versus the Union Hill Greyhounds. The Winner faces the winner of the St Louis Park Bees VS Minneapolis Millers 1130 game at Pacer Park in Savage with losers also squaring and the Bald Eagles will host game 2 following 1130AM games playing to either repeat or 3rd place for 2018. The Bald Eagles were the Class 6A Champions in 2017 and are seeking to repeat and defend. Sunday the Savage Grizzlies host 1130AM action in Class 2A versus the St Peter Bullheads at Pacer Park while PL will host the Loretto Mets VS Stillwater Stallions at 1130AM with winners & losers squaring following field turnover and St Peter travelling to PL (Savage as host will remain at Pacer Park). The Crosstown Traffic, who also play in PL, will be playing in the Class 4A pool at 1130AM at Elko Fredrickson Field VS St Michael with Webster and Chippewa Valley rounding out the Class 4A field on Saturday October 6. The games will be the FINAL GAMES of 2018 at Veterans Field in PL and your last chance for ballpark favorites including hot popcorn and the Tastiest Wiener in Scott County! No admission is charged and the Bald Eagle welcomes fans this weekend. Complete schedules and bracket links available at M50BL website.